This is an outstanding larger size "lower" condo in the very popular Falls Hillside Villas Subdivision. 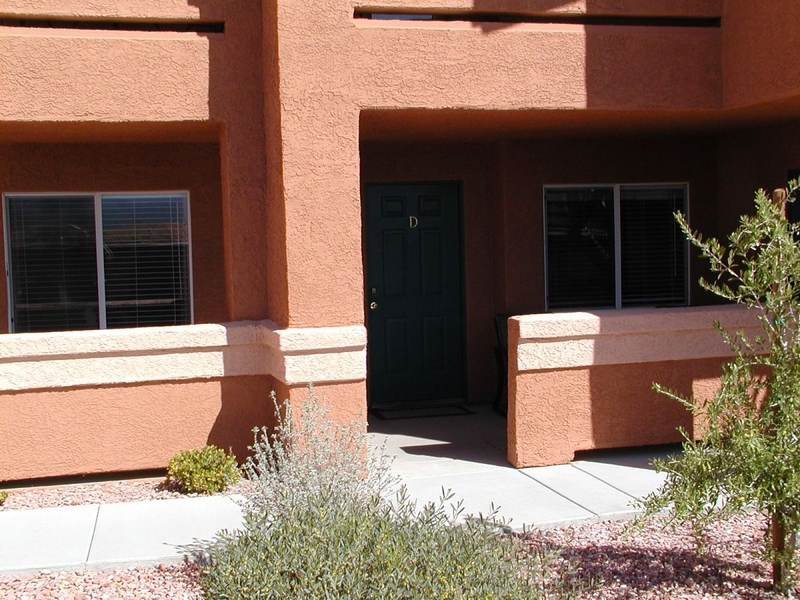 Spacious and in Excellent condition, this lower unit sits overlooking the Virgin Valley and has incredible views of the community and the Virgin Mountains. Owners are selling this beautiful property furnished. In the kitchen the GE Range/Oven was purchased 2018, the GE refrigerator purchased 2016, the Bosch dishwasher purchased 2017 and the Whirlpool washing machine purchased 2017. The Clothes Dryer and the Water Softener will also remain. This is a must see property in a wonderful area of Mesquite!